Thank you so much for everything! I loved your style and the way you worked with the parents. They were soaking in every word you said.It was an absolute pleasure to have met you. Natasha Rossouw Sustainability Institute, Stellenbosch. “the students can't stop talking about your workshop”. Thanks so much for an awesome evening! I was so desperate to make it to the Maths workshop as being someone who was really bad with numbers and maths at school I really want my kids to enjoy numbers more than I did. I walked into my house with all these wonderful (and easy) ideas of things to do and games to play– my husband couldn’t believe how much fun I had and was super impressed! Your presentations are always superb and I was even inspired to take out my notes and go through them all again. There is a HUGE benefit to parents in attending your workshops, and of course teachers. Thank YOU! Bianca, parent. Supports Individuals and groups in focusing on achieving specific goals. Transformation and change happens when we make the choice to shift our thinking, speaking, being and doing. It is an inside job and we are all capable of transformation when we are willing to Look withIn For Everything and then do what it takes to get what we want. 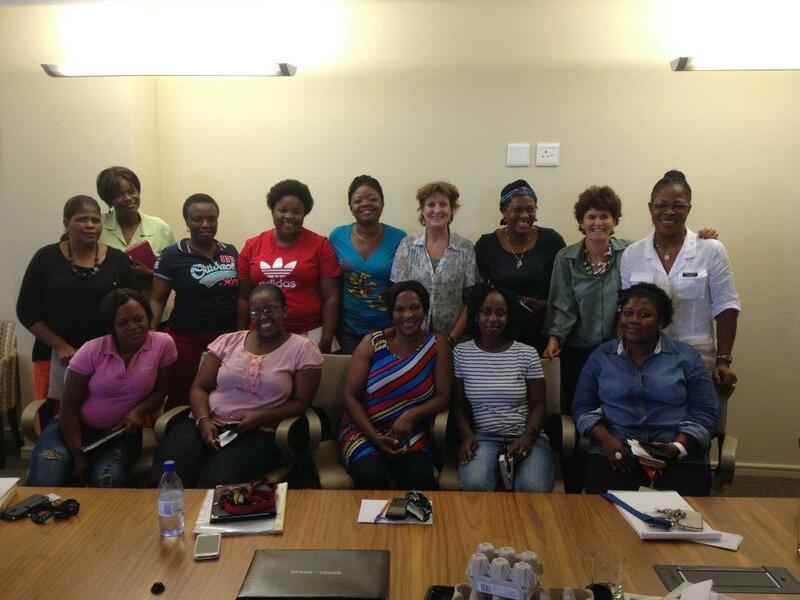 Renee’s Corporate employee and CSI programmes are fun, practical, sustainable, tested and scalable. They are designed to empower employees and communities. They include a wide variety of services from Customer Care Training to Positive Parenting Programmes for employees. Without of doubt, the success of the programmes was through Renee’s positivity, energy and Renee’s ability to work across varying social groups, making every individual feel encouraged, worthy and capable. An amazing success for our organisation – thank you Renee! Warren Farrer, Group CSI Executive, RCL FOODS. “Renee assisted us with finding our collective voice as a unified team and we have progressed immensely from her session. I personally would recommend her services.” Sibulele Siko-Shosha, Dumile Brand Boutique, Johannesburg. These products are a valuable resource for parents, teachers, NGO’s and an ideal Corporate gift to support CSR initiatives. The products include a range of Let’s Get Ready books and the LightOn Education DVD. Let’s Get Ready the Green Way is filled with ideas of how to use items we have at home in creative, playful, educational ways. 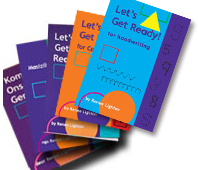 Let’s Get Ready for handwriting is a copy master and can be used in a variety of ways to practice letters, patterns and number formation. Let’s Get Ready for card games is a copy master and has all the cards you need to play card games with children aged 3 to aged 9 years old. The book includes pages with lower and upper case cards and cards for numbers, dots, number names, the 100 block and many more ideas for copying and playing memory, snap, snap pot, rhyming, visual sequential memory, introducing compound words and other games. The Let’s Get Ready the Green way book is available in English, Afrikaans and Xhosa. This book is awesome! Think it should be compulsory reading for ALL parents! Well done! Belinda Murphy, Springfield Primary School, Grade 1 teacher. 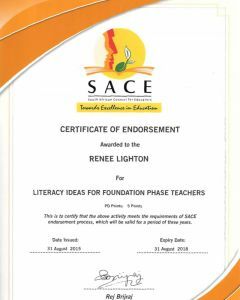 We all think that it is the most fantastic resource for both Parents and Teachers with SO MANY ideas and practical applications...CONGRATULATIONS!!! I would say it is a must for Parents. So many of our Study Group members were very interested in buying your book,Suzanne – Principal, Happy Days Pre-Primary, Somerset West. I went through your DVD. Wonderful! May I use this with my interaction with teachers? Patsy Marthinussen. Western Cape Curriculum Advisor. WCED. 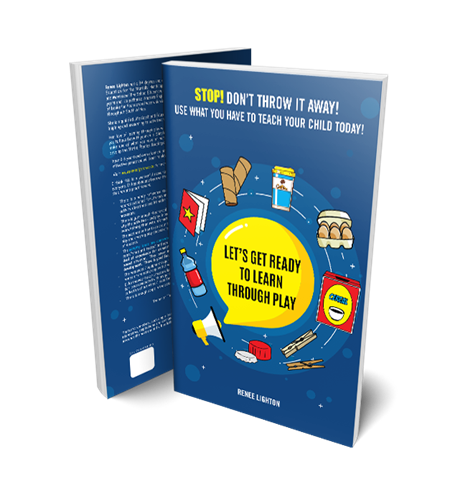 Aimed at parents and teachers with children between the ages of3 and 8years, the book helps prepare both you and your child for interactive ways of learning. Simple tips on how to use everyday household materials will make you aware of different methods of learning and help you look at playtime with different eyes. Renee’s wide knowledge and abundant generosity shine through in sections also aimed at younger children, making this a great resource from early childhood up to the school starting years. Tracy, moms group. As SACE provider number 11747, the good news for educators = the following workshops are SACE endorsed! Literacy Ideas for Foundation Phase 5 CPD points. How to boost the learners’ self-esteem with these praise skills. 10 CPD points. I have yet to have a staff member or parent attend one of your workshops without a wow! Well done on what you have achieved. Need a “hand up”, not a “hand out” Corporate Social Investment programme which serves all? Contact Renee to discuss your needs. Thank you so much for a most rewarding 2 days. You certainly confirmed my belief in you as the right choice to start Rainbow’s Positive Parenting Programme! You are a superb facilitator with any group of participants & this is fully borne out by the 100% response from participants! WELL DONE! I really enjoyed our 2 days together & look forward to the process unfolding & providing the value we all want in changing the lives of children and their families. Renee is a qualified and experienced New Insights Life Coach and a Trained Demartini Facilitator.